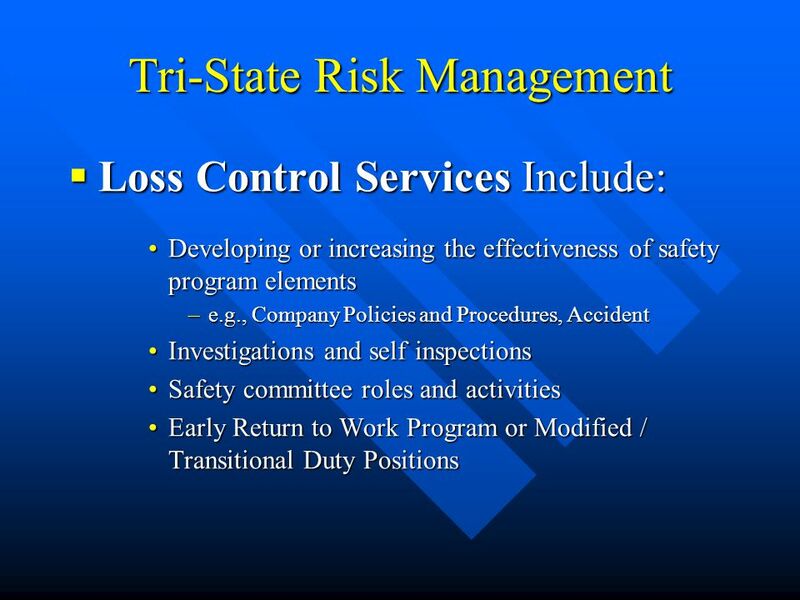 “Your Complete Outsourcing Employers Solution” Loss Control is Cost Control A Safety Management Presentation By Tri-State’s Risk Management Department. 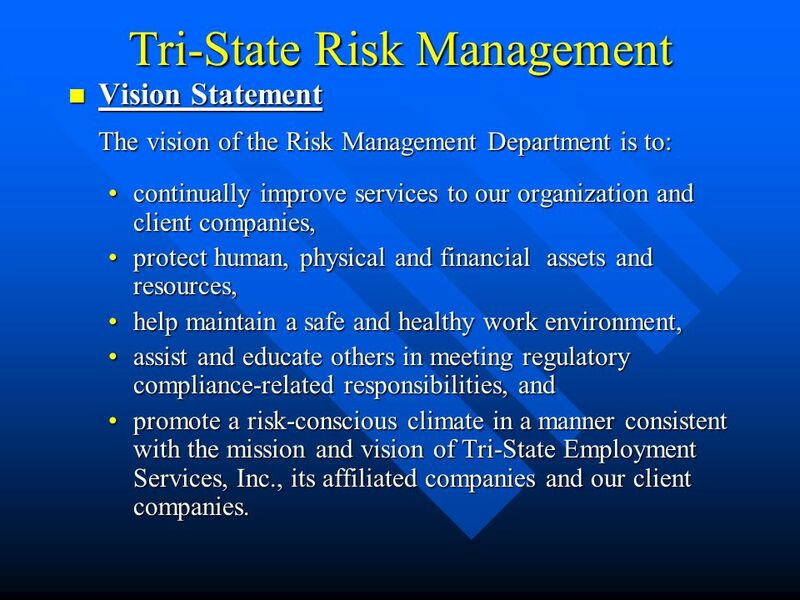 3 Vision Statement Vision Statement The vision of the Risk Management Department is to: The vision of the Risk Management Department is to: continually improve services to our organization and client companies,continually improve services to our organization and client companies, protect human, physical and financial assets and resources,protect human, physical and financial assets and resources, help maintain a safe and healthy work environment,help maintain a safe and healthy work environment, assist and educate others in meeting regulatory compliance-related responsibilities, andassist and educate others in meeting regulatory compliance-related responsibilities, and promote a risk-conscious climate in a manner consistent with the mission and vision of Tri-State Employment Services, Inc., its affiliated companies and our client companies.promote a risk-conscious climate in a manner consistent with the mission and vision of Tri-State Employment Services, Inc., its affiliated companies and our client companies. 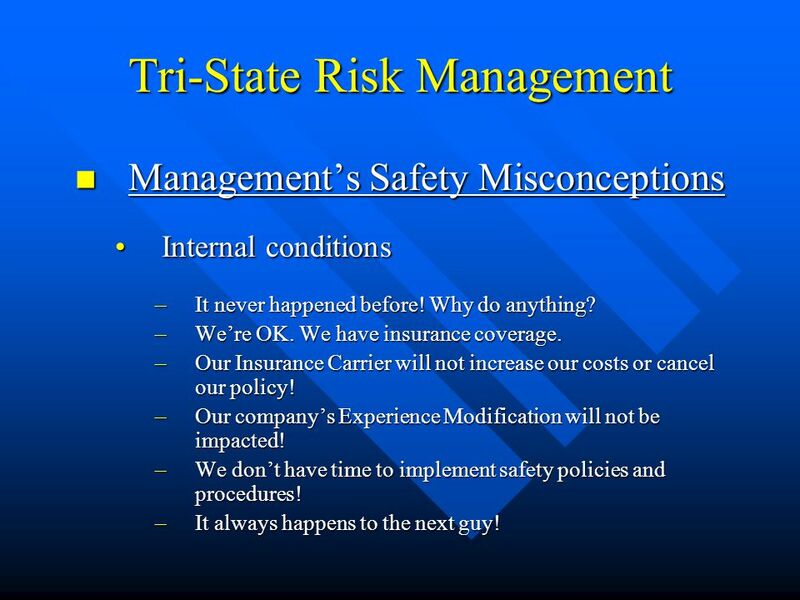 6 Tri-State Risk Management Management’s Safety Misconceptions Management’s Safety Misconceptions Internal conditionsInternal conditions –It never happened before! Why do anything? –We’re OK. We have insurance coverage. –Our Insurance Carrier will not increase our costs or cancel our policy! –Our company’s Experience Modification will not be impacted! 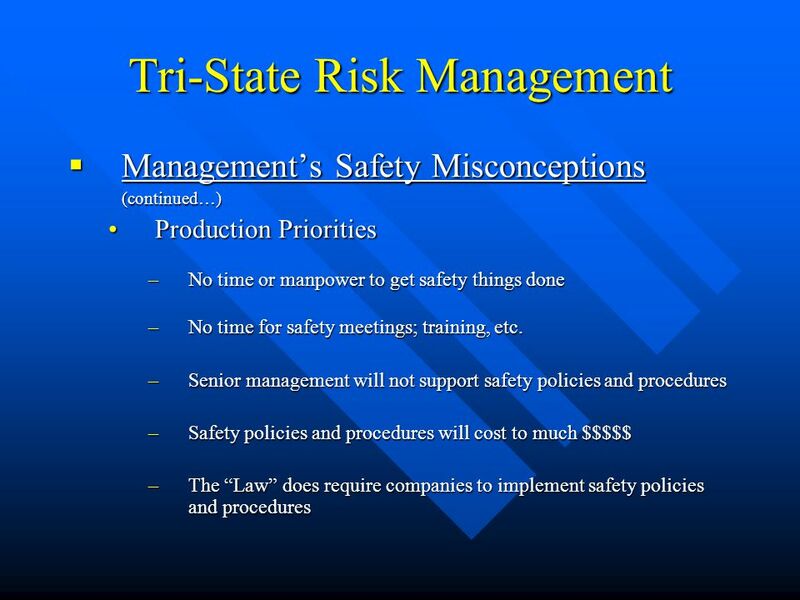 –We don’t have time to implement safety policies and procedures! –It always happens to the next guy! 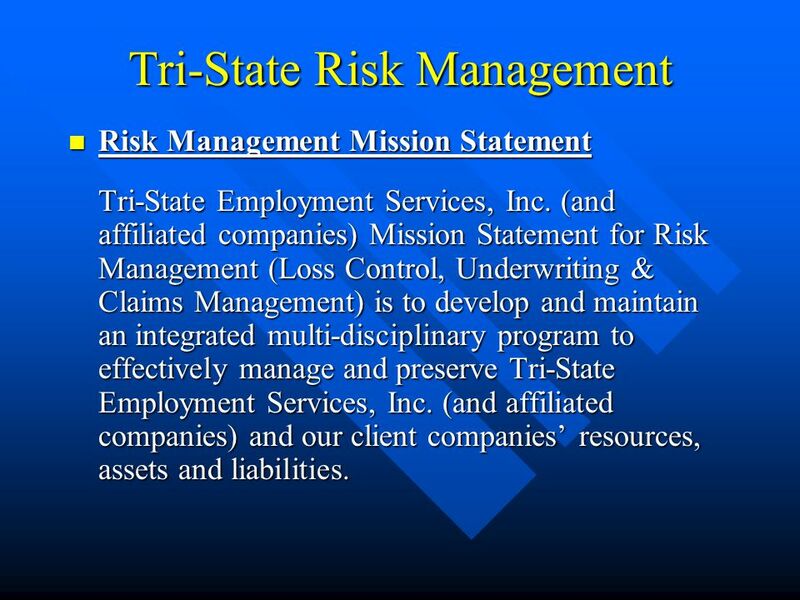 21 Tri-State Risk Management Let’s do it ! 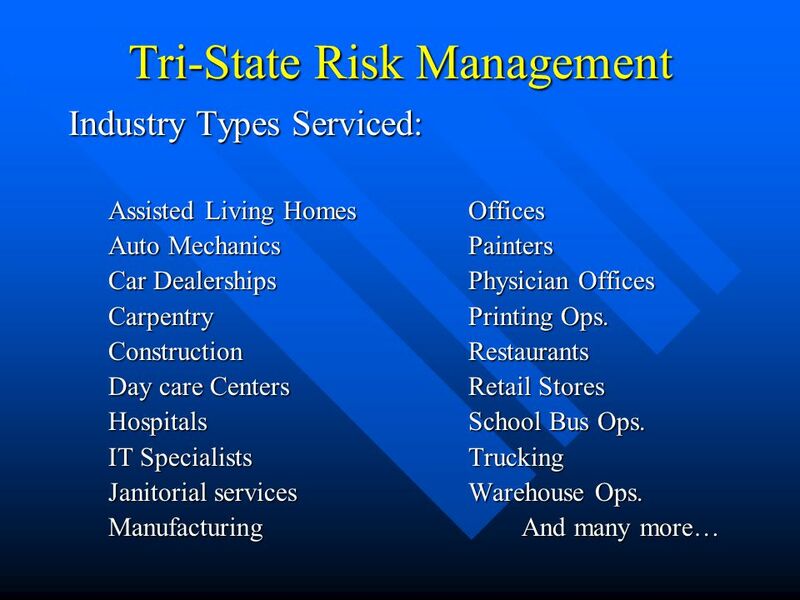 Let’s contact Tri-State now! 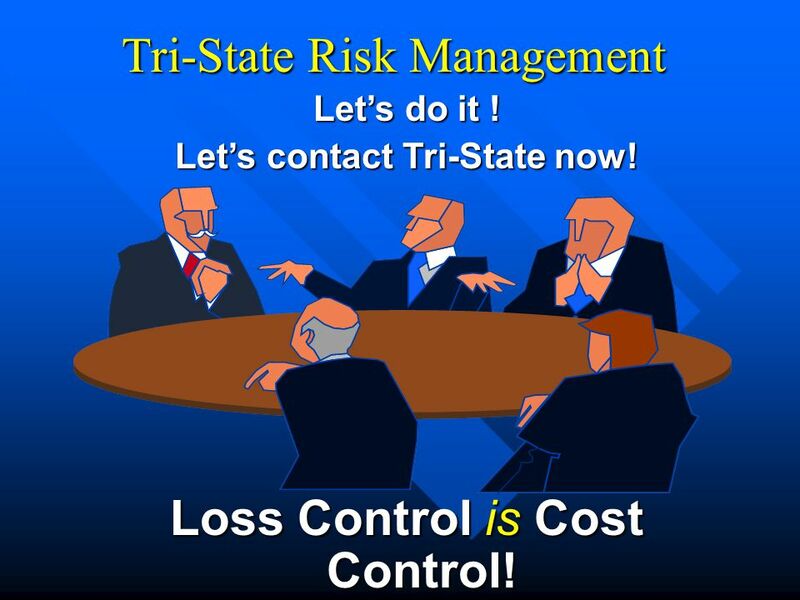 Loss Control is Cost Control! 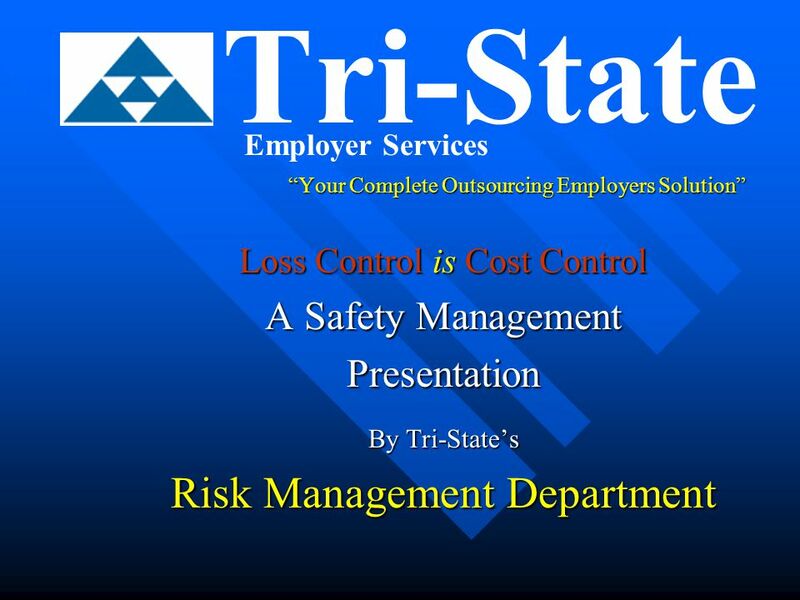 Download ppt "“Your Complete Outsourcing Employers Solution” Loss Control is Cost Control A Safety Management Presentation By Tri-State’s Risk Management Department." 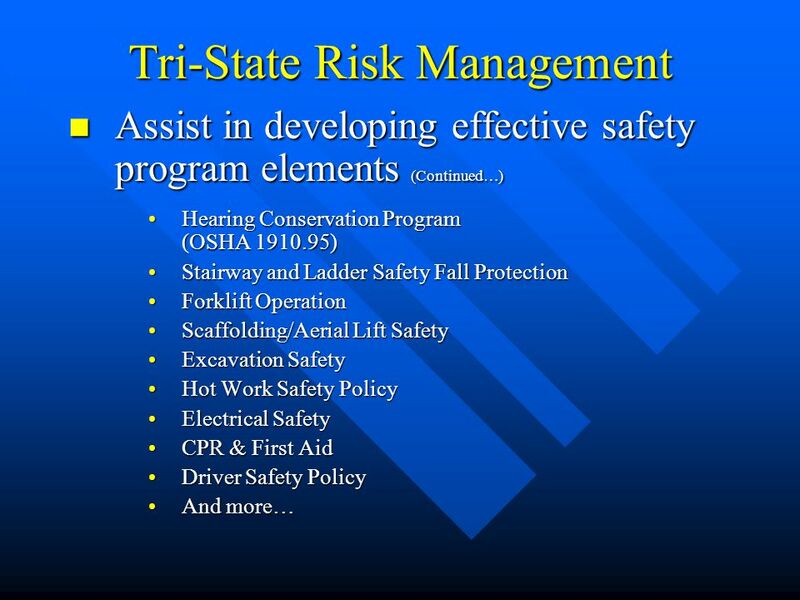 (Project Name) Site Safety Orientation. Family of Companies. 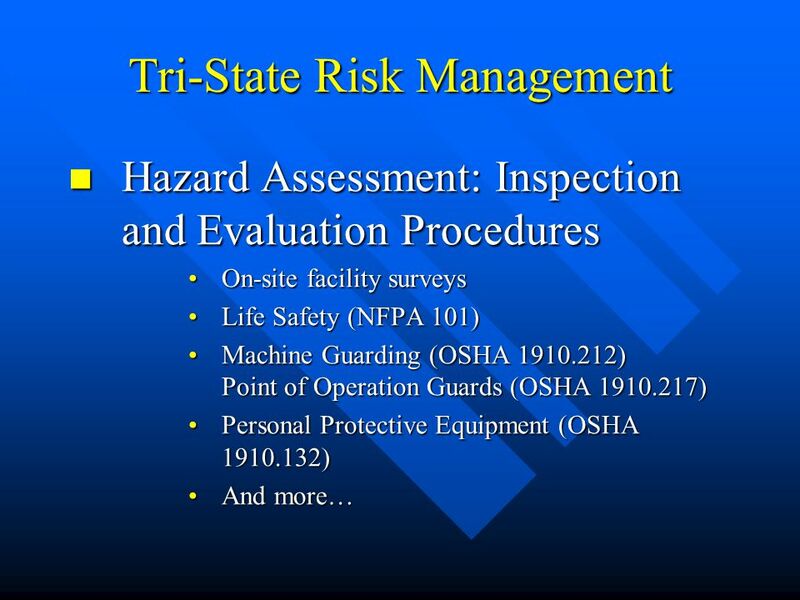 Safety Training You Gotta Do 2003 Northwest Hazardous Waste Conference Pasco, WA. 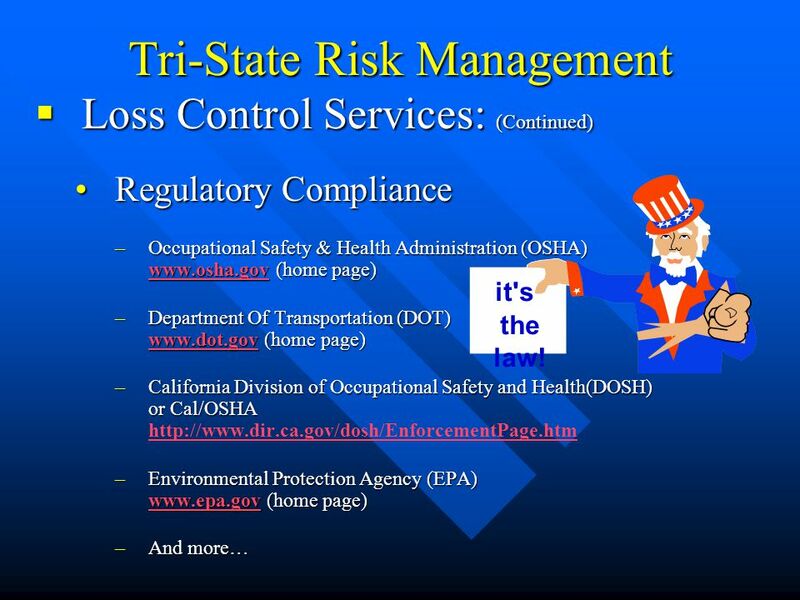 Environmental, Health & Safety Outsourcing Trends and Benefits Jeffrey M. Zipfel, CHMM Environmental & Safety Solutions. Who is Responsible?. 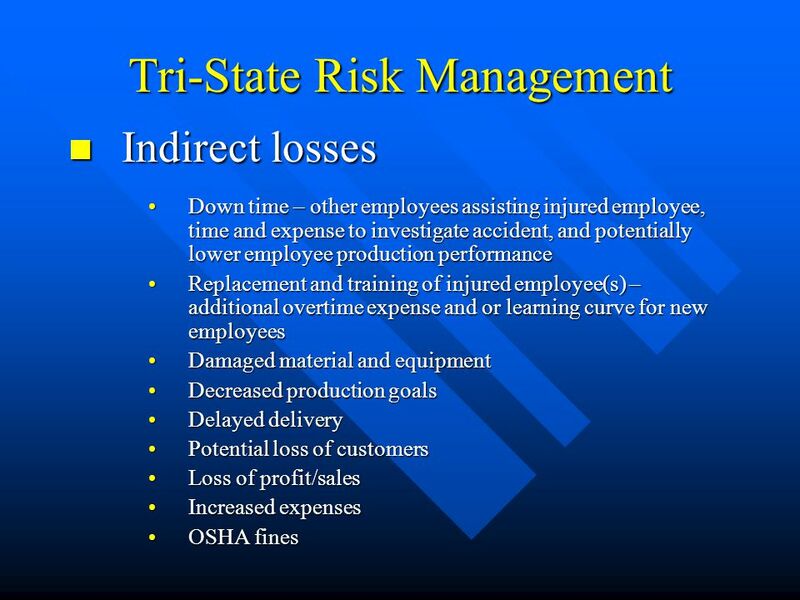 2 Course Objectives  Help you decide that safety IS everybody’s business and why  Provide you with an understanding of accident. 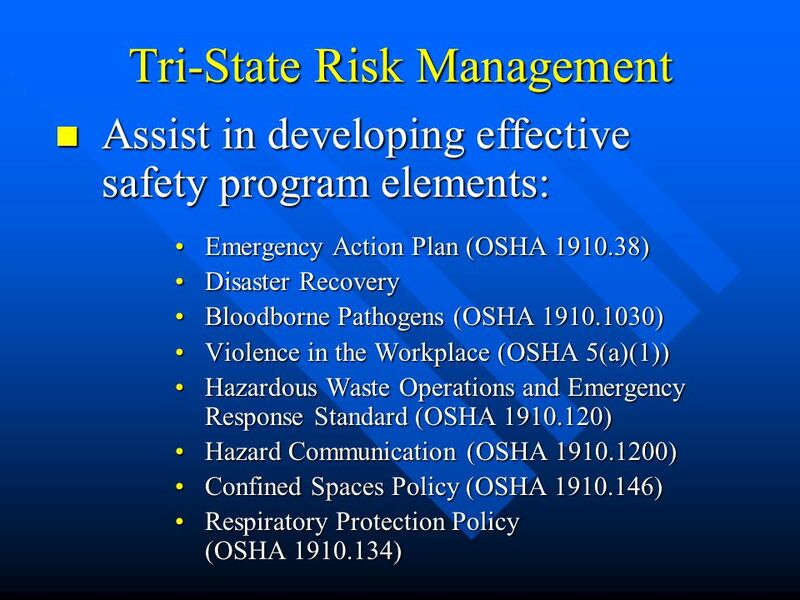 Think safe. Act safe. Be safe. 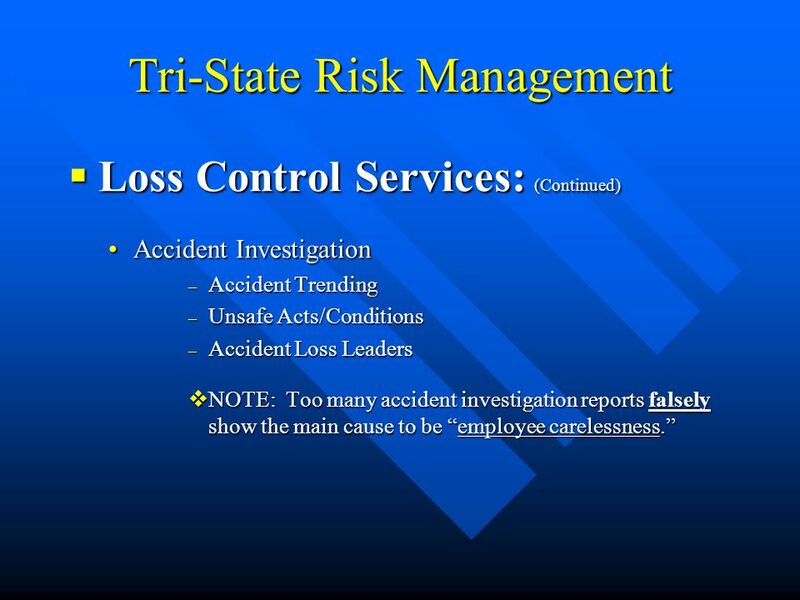 Supervisory Safety Leadership Best Safety Practice # 1 Understanding Legal, Employee Safety/Health & Economic impacts Understanding. 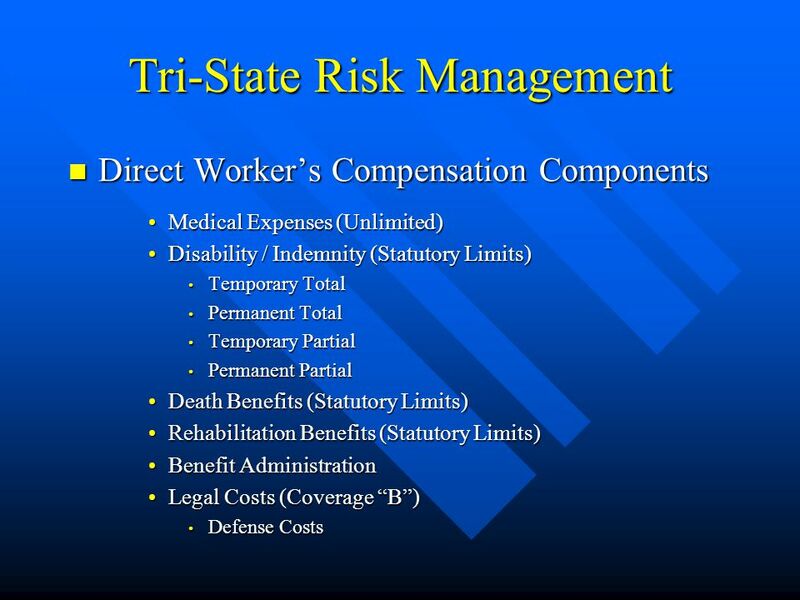 Click to edit Master text styles – Second level Third level – Fourth level » Fifth level Why Worry about Safety? Why do you need to be concerned about. 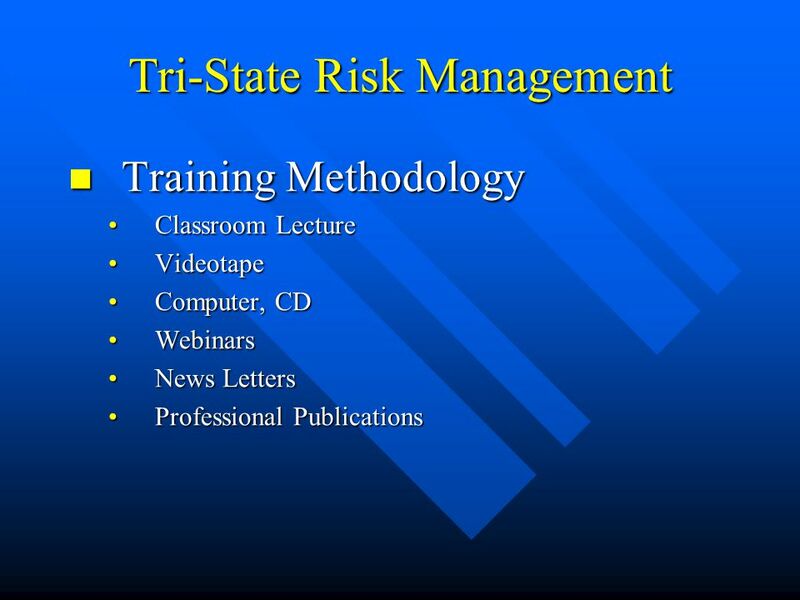 Intro to Business Ch. 4. 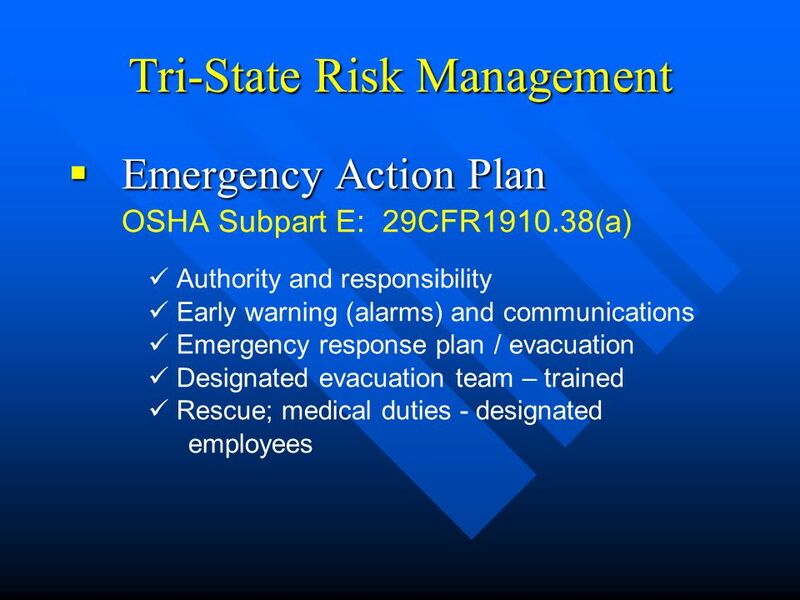  Provide a safe working environment for employees. 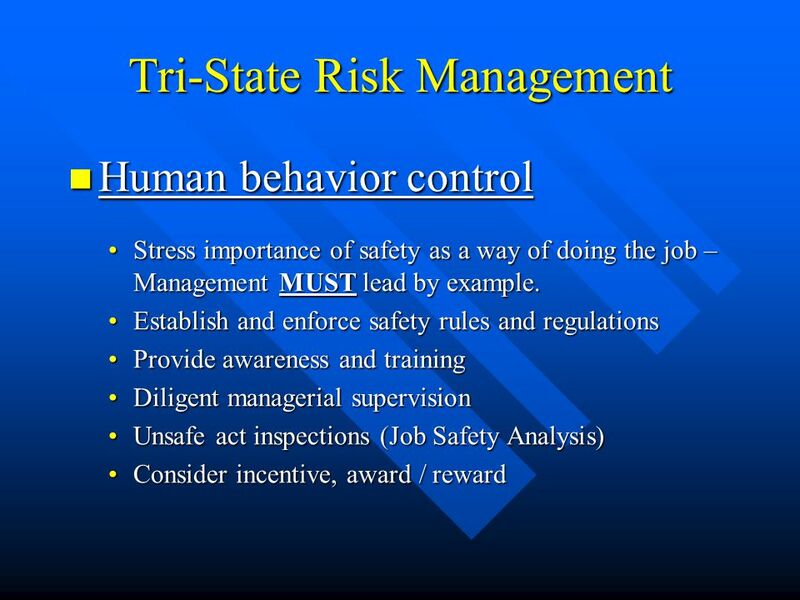 Develop safety awareness in the employee that causes job tasks to be performed accident free. Plan. 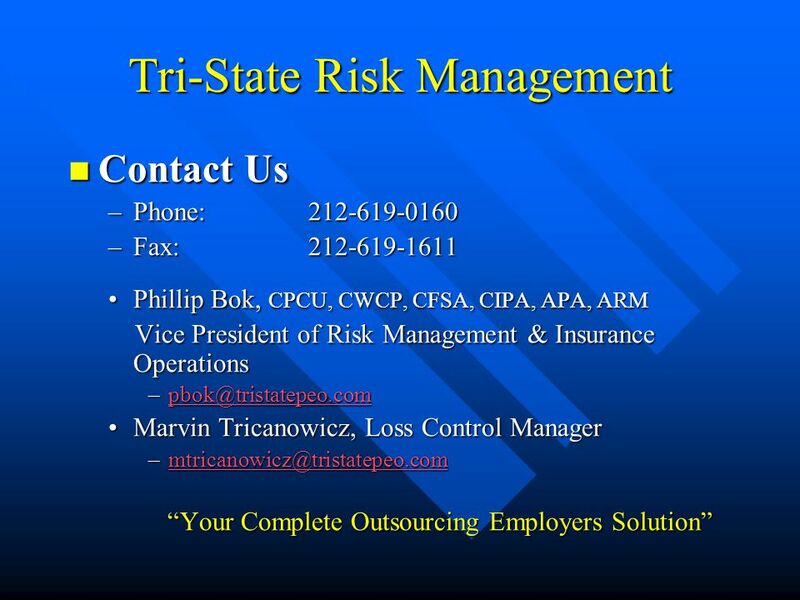 OSHA Wzorek Consulting Services, Inc.. 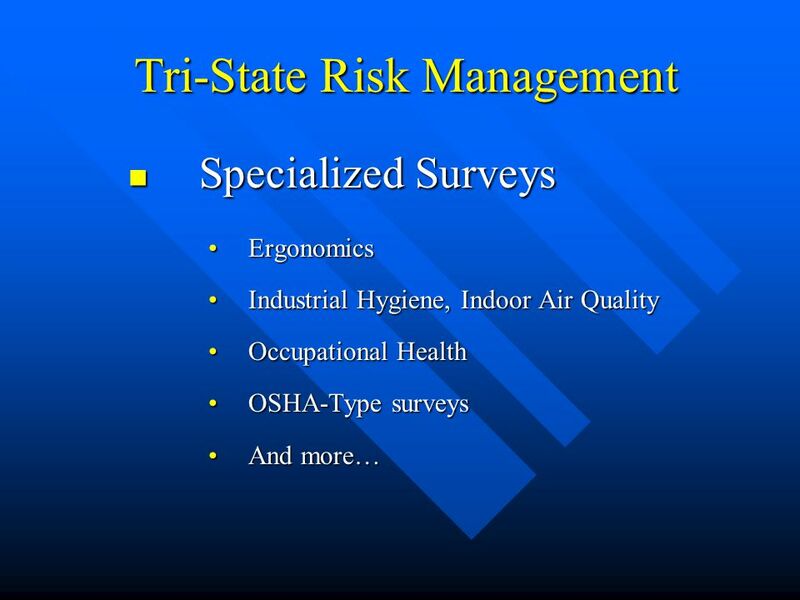 Most frequently cited OSHA Standards  Hazard Communication  OSHA poster  OSHA 200 log  Scaffolding  Machine. 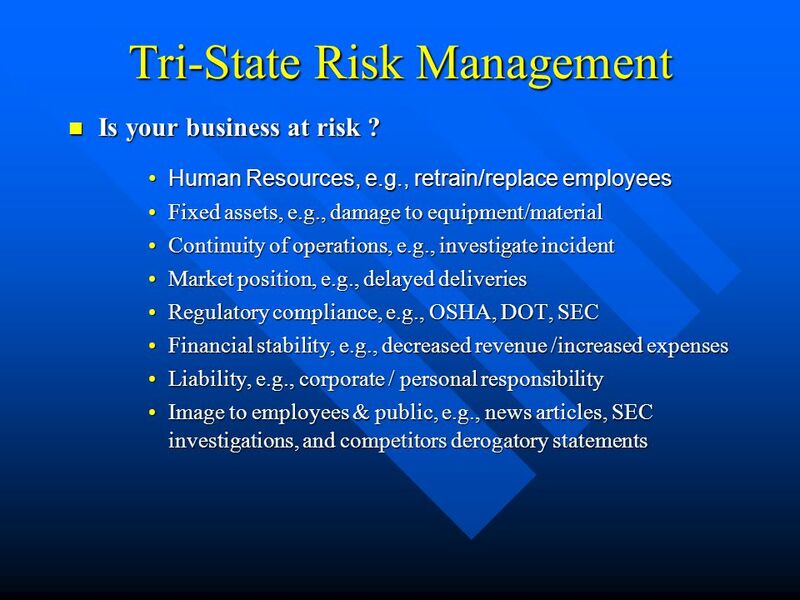 PowerPoint Presentation by Charlie Cook The University of West Alabama SECTION 5 Employee Relations CHAPTER 14 Risk Management and Worker Protection. Dennis J. 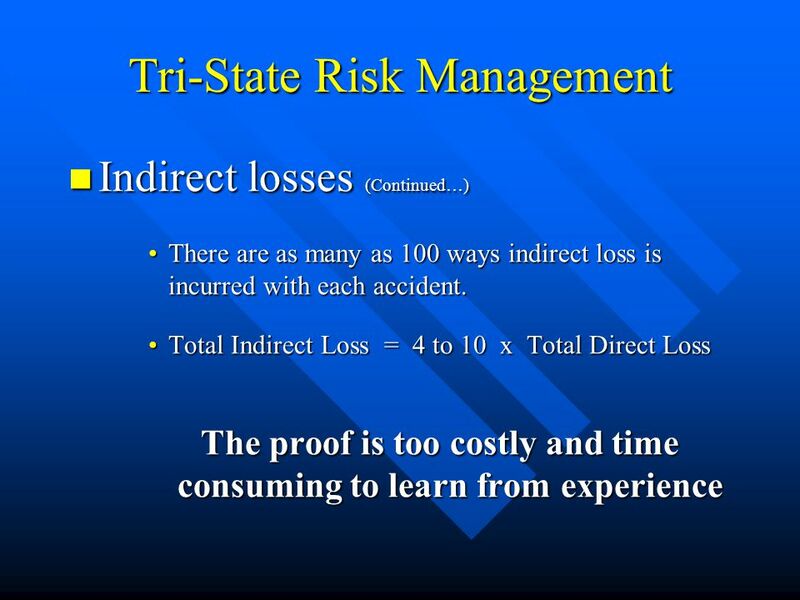 Powers Jr. AIC, ARM, CPCU Lamb, Little & Co.
JOB FUNCTION EVALUATION Lowering Your Accident Costs. DoD Lead Agent: Office of the Assistant Secretary of the Army (Installations and Environment) Department of Defense Voluntary Protection Programs Center.